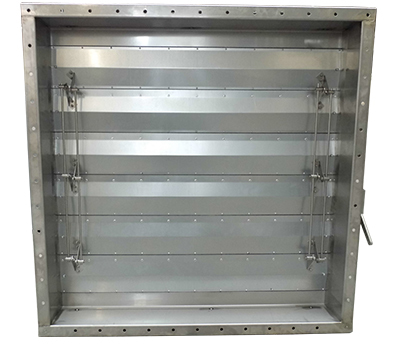 Designed to contain fire suppression gases within a system. The DAMPERS are manufactured to fully close under controlled spring operation of pneumatic or electric ACTUATOR. The DAMPERS can be manufactured with standard external steel linkage or internal steel linkage, which minimises the leakage through the casing due to the fact that only the drive spindle penetrates the damper casing.